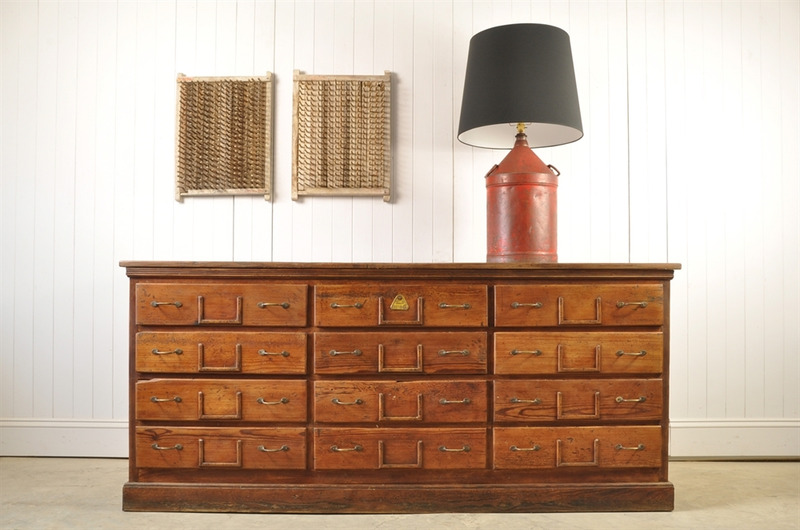 Antique Pitch Pine Sideboard - Original House – Decorative Antiques, Vintage Industrial Furniture and Lighting, Cotswolds. 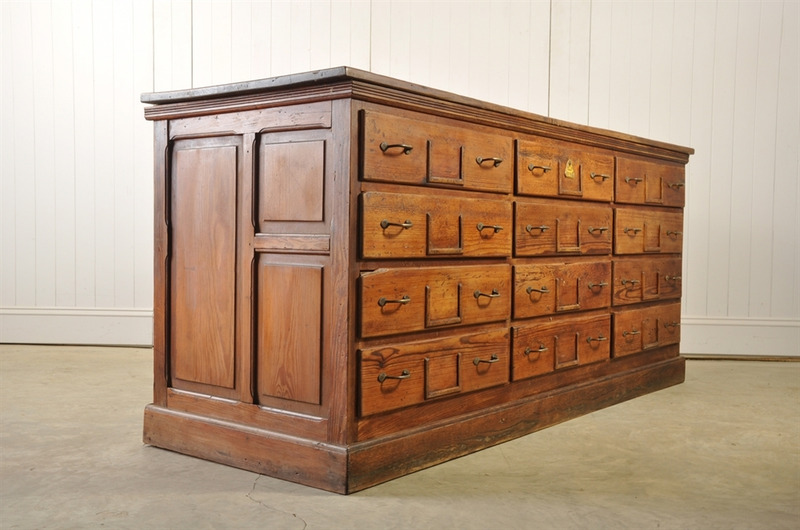 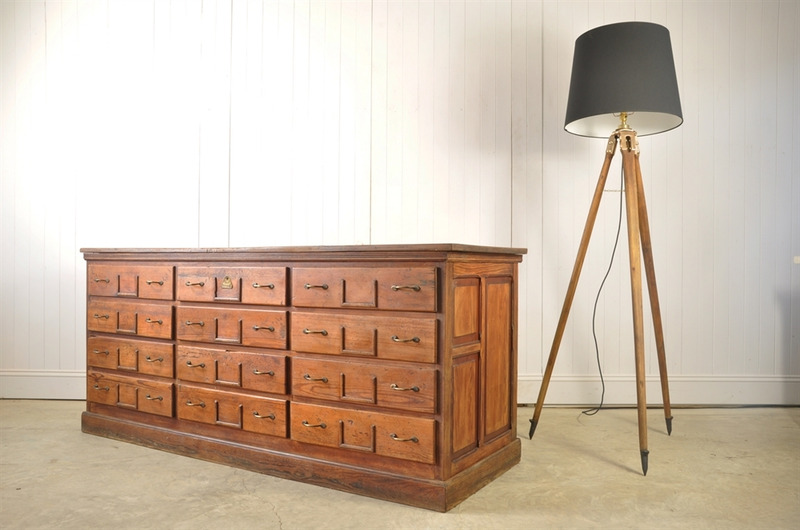 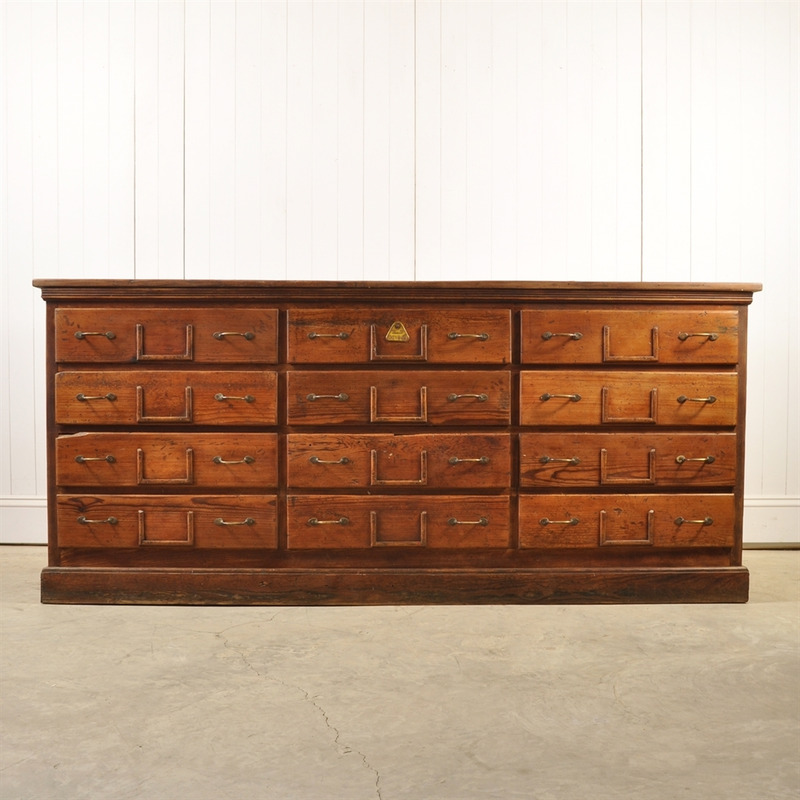 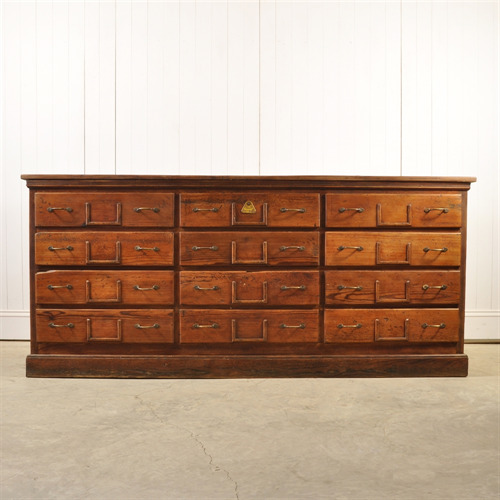 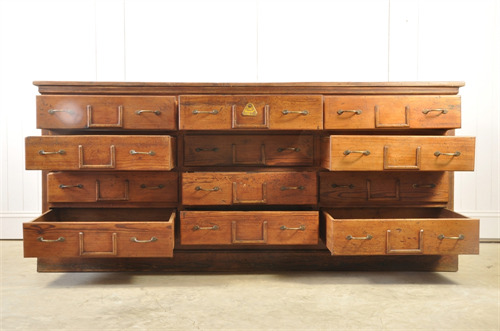 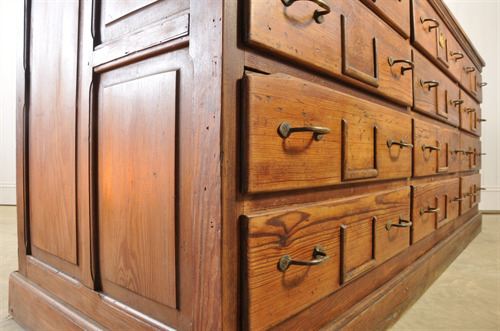 Circa 1900 this sideboard was sourced from a grain store in Mid France. 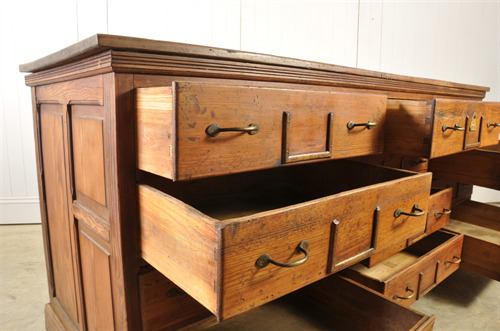 Like many pieces of industrial furniture this has not only been used for filing but also as a workbench over the years. 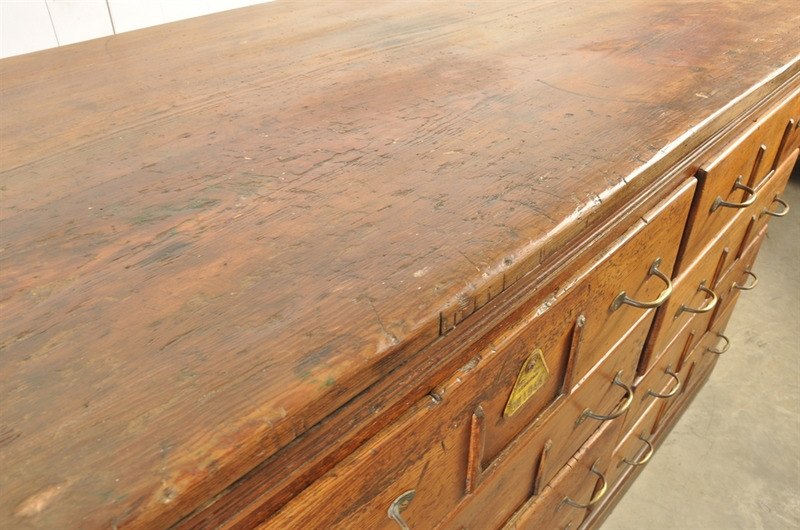 You can see evidence of this with the marks, scrapes, colours and patina all over the cupboard. Open backed with good size useful drawers, and brass handles. 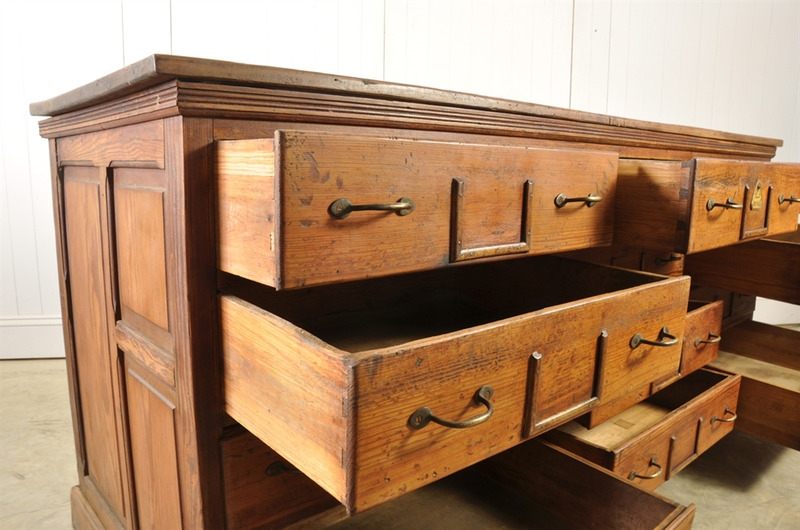 Some restoration and in good useable vintage condition. 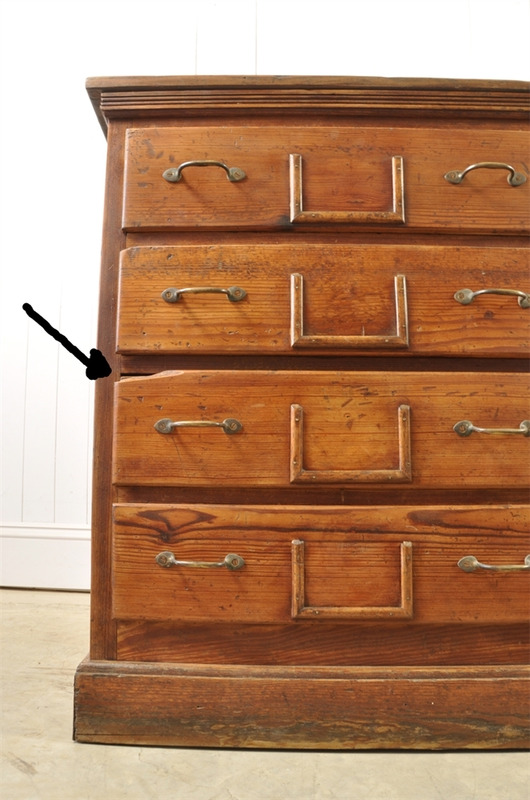 Slight old wound to one of the drawers as pointed out and some old re treated woodworm. Drawers 13 cm h x 57 w x 45 d.
Total unit 89 cm h x 200 l x 69 d.